The field encompassed by rheumatology has evolved rapidly over the last decade to include multiple immune-modulating and biologic medications, new classification criteria, significant updates on bone metabolism, and completely new paradigms of treatment based on groundbreaking studies published within the last 5 years. Although much has been adopted as standard of care based on new data, most textbooks do not reflect these practice changes. Rheumatology Board Review highlights the latest advances in the field and new standards of care, including references to current citations in the medical literature. It provides international standards and guidelines and is designed to convey a maximum amount of information quickly and efficiently, with many helpful schematics, radiographs, and tables. 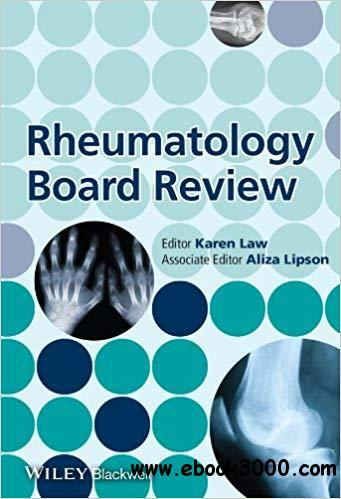 Rheumatology Board Review is a must-have reference for rheumatology fellows and professionals seeking a concise yet thorough review of state-of-the-art rheumatology.